Headstock | The How-To Repository for the Cigar Box Guitar Movement! 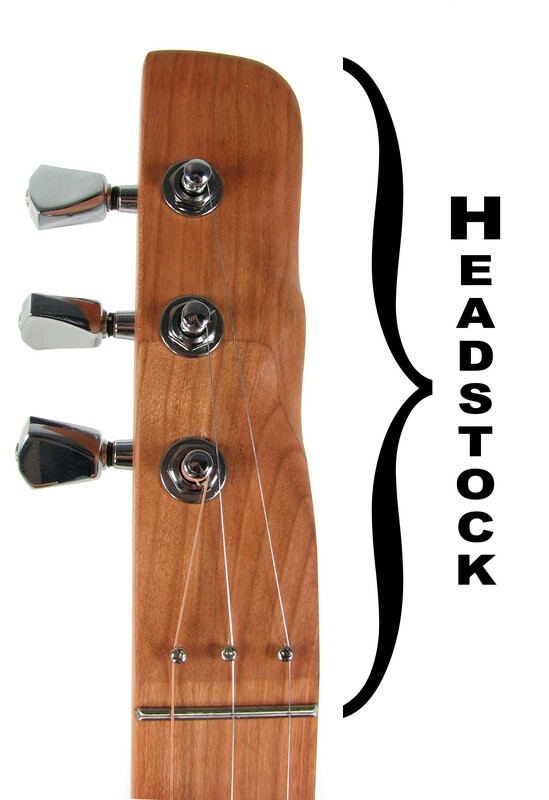 The headstock is the area at the top of the neck. Usually this is where the tuners/machine heads are located. On cigar box guitars, headstocks can be angled via a scarf joint, or can be recessed. 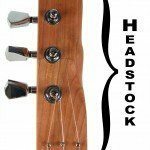 Headstocks can be the same width as the neck, or might be wider (such as is almost always seen on traditional acoustic and electric guitars). Some guitars are built as “headless” models, where there is no headstock to speak of, and the tuners are located at the bottom of the instrument.